New Liverpool beatniks The Floormen dabble in arresting noise and glorious hooks, Getintothis’ Chris Hughes reflects on a gang ready to intoxicate your mind. Liverpool has kaleidoscopic blood bursting through its veins. Pumped from the hearts of the 60s Merseybeaters and along the acid-soaked vessels of bands like The Bunnymen in the 80s. Progressive rock & roll is as much a part of the city as the shimmering wet tarmac of Bold Street (or the sick-covered 5am steps of St Luke’s Bombed Out Church). When records and musicians found their way to the city through its huge dockland trade, each brought with them a new atom-sized influence, merging together to form Liverpool’s own breathing, organic scene. 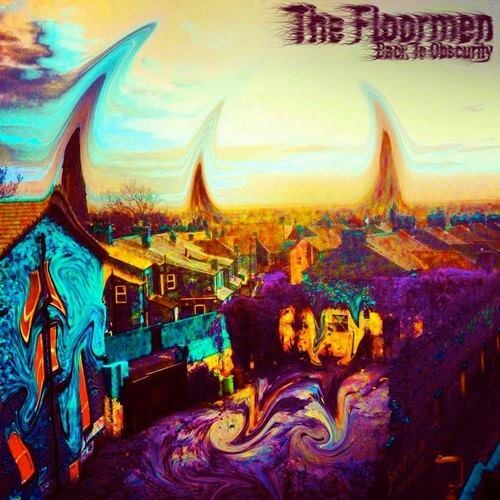 Merseyside self-proclaimed ‘psychedelic groove outfit’ The Floormen are born from the same blood. Combining long instrumental adventures, early-Sabbath stoner grooves and guitar swimming in dreamscape reverb, we’re invited on a sonic and immersive journey. While recently successful pop-psych bands such as Temples and Tame Impala have been making the charts, this is experimental prog-rock that isn’t afraid to takes its sweet time, stays truest to its roots and channel Grateful Dead, Funkadelic and Meddle-era Floyd. Their live show incorporates all of these elements, operating as a collective and collaborative entity. Lead singer Buddy Keenan recognises when to take a step back from the mic and let the instrumental wave sweep in. Luke Barlow jams out smooth bass grooves, and Jamie Lindberg’s soul-psych beats keep it all tight while hopping between half-time thumps and crashing double-speed rhythm – and there’s the added softer dimension of co-vocalist Jess Gowing in the wings lending texture and light to their dirty storm. Having recently finished their self-recorded EP Back to Obscurity and playing at the born-again Magnet earlier this month, The Floormen demonstrate an acute connection with the burning pulse. And since Liverpool’s enduring psychedelic scene isn’t melting away anytime soon, these raw young musicians certainly have time on their side. Catch them at Sound Food and Drink on October 11 and Maguire’s on October 12.